I told you it was South Haven week on this blog. Co-worker and I spent the whole day in Van Buren County. He drover separately because he was heading towards Kent County after work and we knew we’d be there all day. J knew that I was going to be home late so she and the kids went to her parents house for the night. They picked up pizza along the way so they had dinner taken care of. Friday night is usually pizza night but I was in South Haven by myself so I decided to take advantage of that. There are still a few pubs I haven’t been to in the area and it was time to check one of those off the list. 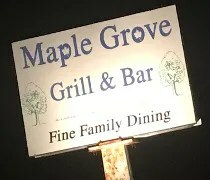 Maple Grove Grill & Bar is right on the roundabout at the corner of M-43, 12th Avenue, and 72nd just a few miles south east of South Haven proper. The building dates back to the 1930’s. 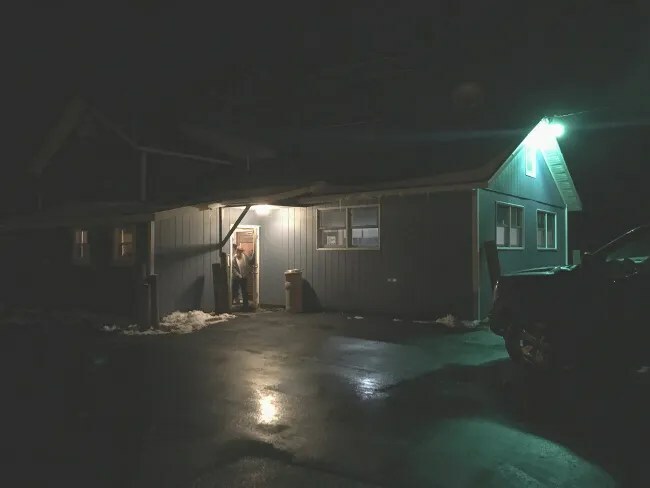 It’s been many things over the years but some sort of restaurant has always had a place in the little corner building. We’ve been going to South Haven to go to the beach for as long as we’ve lived in Kalamazoo. Every single trip always has me staring at a sign on the side of the building. 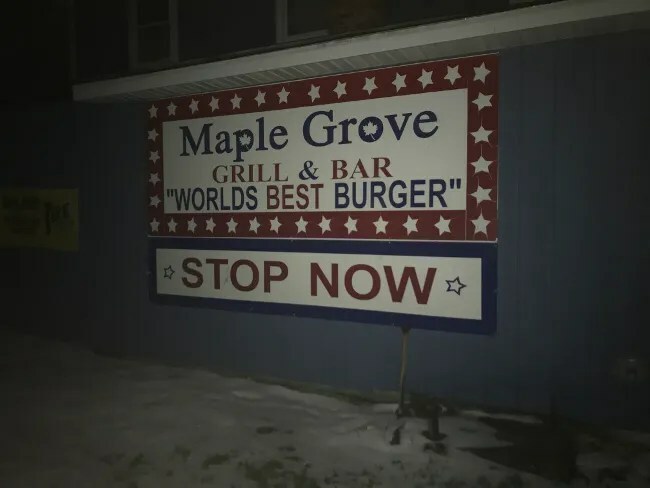 “World’s Best Burger.” I mean, come on. You can’t promise that unless you have a pretty good burger, right? I stopped in just before 7:00 on a Friday night. There is a large parking lot behind the building accessible from both M-43 and 72nd Street. 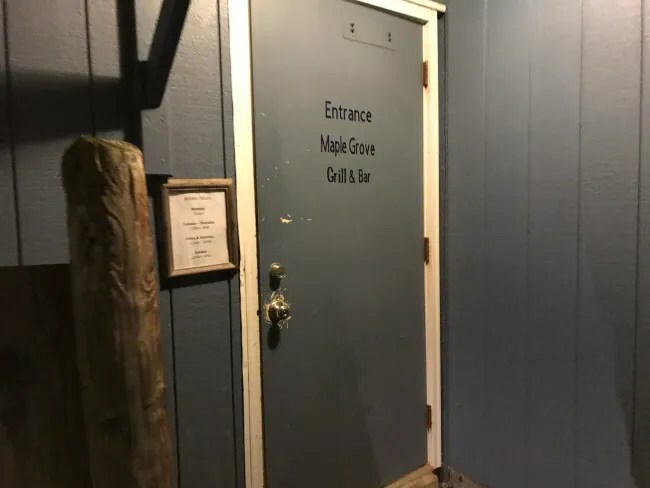 The entrance to the restaurant is in the back through a windowless door that actually says “Entrance” on it so you don’t get it confused with a kitchen entrance or something. The small dining room was pretty packed. There’s about a dozen tables packed in to the space. A pool table takes up a good chunk of the room as well. There are a few TV’s on the wall. Some are turned to sporting events. Others are for Keno. There’s not much in the way of decor on the white walls….just some beer signs in the surprisingly brightly lit room. 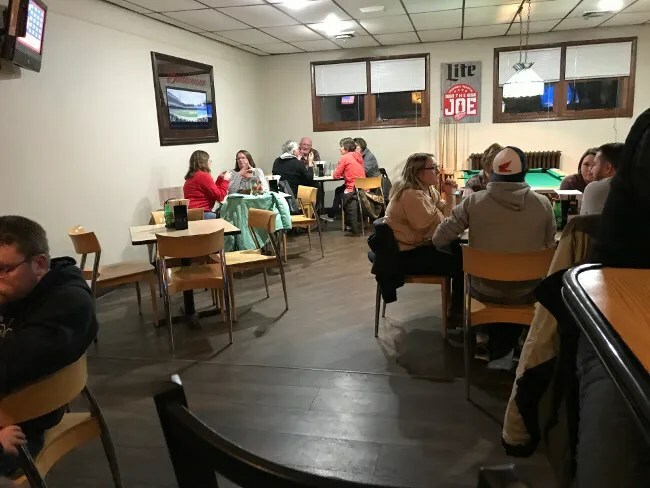 I was dining alone so I took a seat at the small bar where several regulars seem to have just gotten off work at the nearby Palisades plant. The bartender grabbed me a menu and an All Day IPA. They have a couple of craft taps but that was the one I could easily read so that’s what I asked for. So, am I going to walk in to a place claiming to have the “World’s Best Burgers” and not get a burger? That’s a stupid question. I ordered the Carolina Burger. 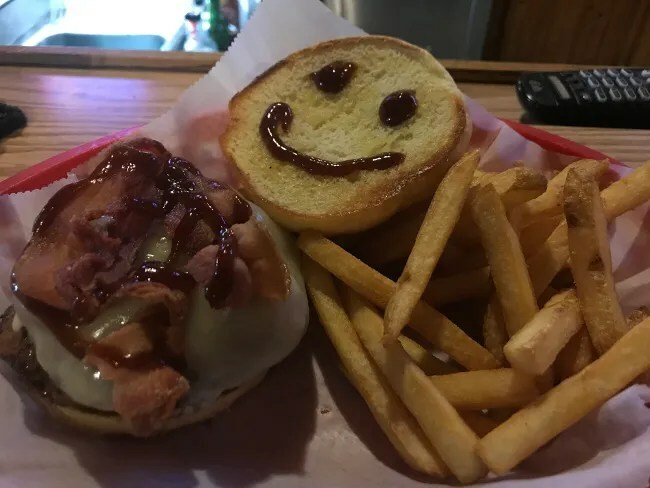 The sandwich is a grilled Kaiser roll with a half pound of fresh ground chuck topped with house made BBQ pulled pork, provolone cheese, bacon, and a sweet BBQ sauce. The sandwich took longer than I expected it to to come out. When it did, there was a cute presentation with a smiley face made out of BBQ sauce on the top of the roll. The burger was made from fresh ground chuck and it really makes a difference. The meat was tender, juicy, and super flavorful. The bacon on top was crispy but not burnt. The pulled pork gave me the impression it was roasted but it was very tender and the sauce was sweet and delicious. The sandwich came with fries. They were frozen skin on fries that were delicious with a little bit of mustard. The bill for my meal was about $17 and even though it doesn’t look like it, they do take credit cards. I was worried when literally everybody was paying in cash and I couldn’t see a swipe station anywhere but their credit card machine is back by the kitchen. 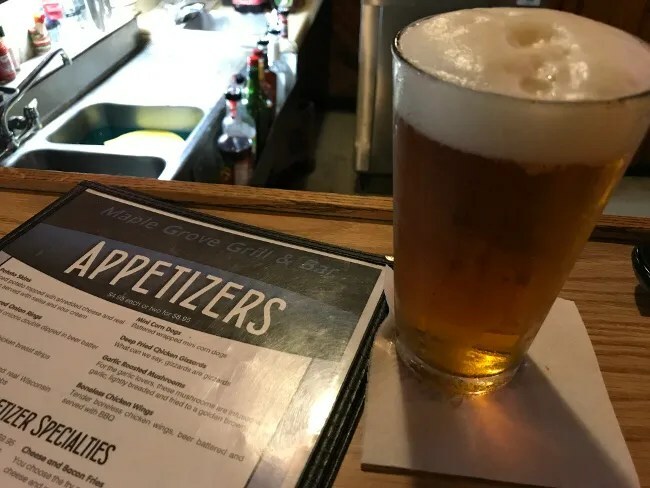 Maple Grove Grill & Bar is a great neighborhood bar despite the fact it’s not really in a neighborhood. The place was packed with people who all seemed to know each other making me the odd man out when it came to buying a round of shots for the bar (which I was fine with BTW). Now. World’s Best Burger? Debateable…but really, really delicious and a burger I would go out of my way for again.